I joined Smiths Medical in 2004 as a Project Engineer and developed a firm understanding of the design control process and product knowledge. Following the successful implementation of several key development projects I was promoted to Senior Project Engineer in 2008 and to Operations Technology Manager in 2011, managing a team of 14 across Europe, America and Mexico – with a focus on supply continuity and customer safety. I was looking to be part of a larger network, having gained experience in smaller engineering organisations earlier in my career. I recognised the diverse group of business areas with strong engineering foundations that Smiths has, and the doors that it could open for me. I was appointed Director of Engineering in 2014 in the newly established Advanced Manufacturing Group, responsible for supply continuity, efficiency and process design across our global manufacturing network. As we continue to improve our organisation the service group was moved under Operations, and in 2017 I was promoted to Director of Global Service Operations, leading nine sites across the world to support our installed base of over a million products. 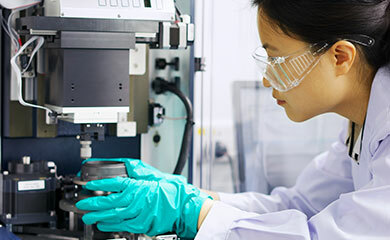 Our products play a fundamental role in safety and wellbeing every day, from airport security to medication delivery, and I am enormously proud to be part of this team. Although Smiths is a large global organisation, everyone has a role to play and is respected and appreciated as an individual. 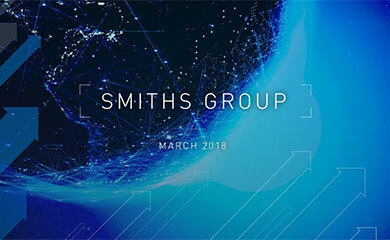 We are on an exciting journey at Smiths – the shape of our business is in our hands, and the opportunities for personal development are extensive.